The Super Bowl is this Sunday, and there's no better way to prepare for the big game than by watching a few great football films. The following list is by no means comprehensive; like a small platter of chips and dip, it's merely designed to whet your appetite. Rudy: Most of you have likely already seen "Rudy," but no list of great football movies can begin without it. Despite being smaller than the average football player, Daniel E. 'Rudy' Ruettiger (Sean Astin) dreams of getting on the field for Notre Dame. Needless to say, it's one of the most heartwarming and inspiring stories ever put to film – about sports or otherwise. Movies about scrappy underdogs fighting for their dreams are a dime-a-dozen in Hollywood, but stellar performances by Astin and Charles S. Dutton (TV's "Roc") elevate this material. They're the reason why "Rudy" is as beloved as it is. The Longest Yard (both versions): The 1971 original starring Burt Reynolds is one of the most dramatic and tense sports movies ever made. The 2005 remake with Adam Sandler and several pro wrestlers is the exact opposite: it transforms the story into a silly comedy. While Sandler's version is not a great movie, it is a perfect example of how remakes should be handled. The Reynolds original is still around, still easily viewable, so there's no need to rehash it. Sandler's take on "The Longest Yard" manages to be very faithful to the source material – including some fun nods to the 1971 version – without ever seeming repetitive. Hometown Legend: Despite being written by Jerry B. Jenkins ("Left Behind") and featuring Terry O'Quinn ("Lost") in a prominent role, no one gets taken by the rapture or stranded on a strange island in this lesser-known film about a small town's final season of high school football. 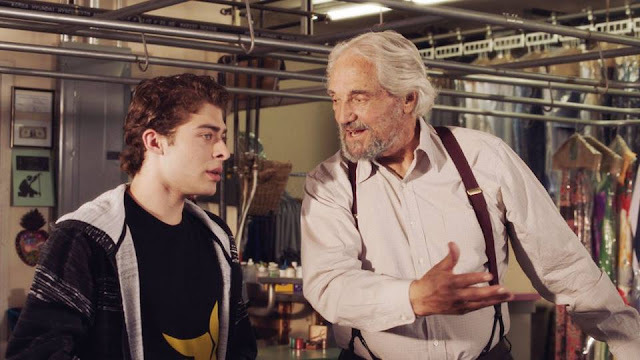 A coach (O'Quinn) finally returns to the school after the death of his son during a game ten years earlier. Now he must guide a new player (Nick Cornish) with problems of his own. Together, they will try to give a small Alabama town one last hurrah. Gridiron Gang: In one of the best – and most underrated – performances of Dwayne "The Rock" Johnson's career, he plays a coach who tries to transform the lives of teenagers at a juvenile detention facility by putting them on the football field. Based on a true story, "Gridiron Gang" is raw and real. Lucas: A small-for-his-age 14-year-old high school freshman (Corey Haim) has a crush on an older girl (Kerri Green), who of course likes the captain of the football team (Charlie Sheen). Is this incredible coming-of-age story from 1986 really about football? No, but the DVD cover does its best to make you believe otherwise. 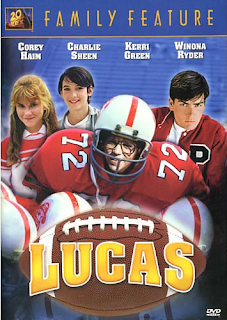 "Lucas" may not be a football movie, per se, but its young hero does try out for the team in a very memorable scene. Two for the Money: There's more to football than what happens on the field. With powerhouse performances by Matthew McConaughey and Al Pacino, "Two for the Money" explores the cutthroat world of sports gambling. The astronomical numbers they play with are more riveting than the high score of any Super Bowl game. We Are Marshall: On November 14th, 1970, a plane crash took the lives of coaches, fans, and almost every player from Marshall University's "Thundering Herd" football team. It remains one of the most heartbreaking chapters in sports history. 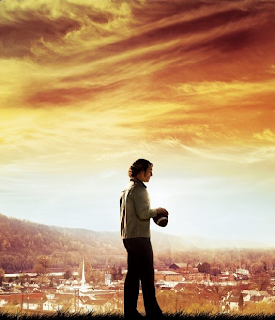 "We Are Marshall" tells the story of a school and a town dealing with unimaginable grief while attempting to rebuild its football program. It tackles the tragedy from every angle. 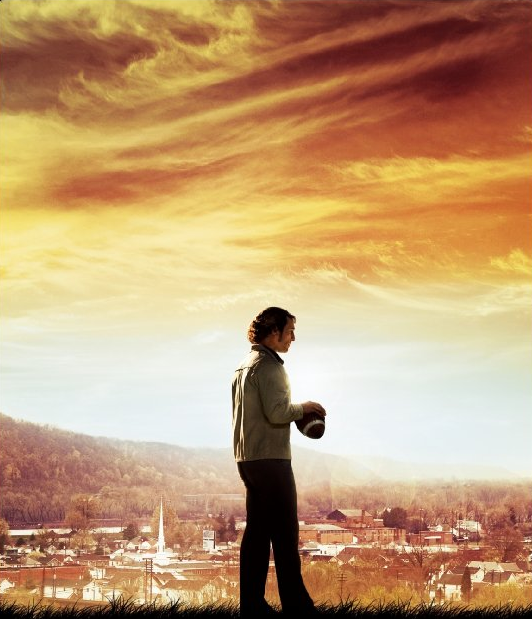 With incredible performances from Matthew McConaughey, Matthew Fox, Anthony Mackie, David Strathairn, Ian McShane, Kate Mara, and Brian Geraghty, I personally consider "We Are Marshall" to be the greatest football movie ever made. The King of Kong: A Fistful of Quarters: The World "Donkey Kong" Championship is serious business. This 2007 documentary covers the kongpetition between Steve Wiebe and Billy Mitchell, both of whom were locked in "mortal kombat" to become the reigning "King of Kong." Bad puns aside, this is actually a fascinating look at an interesting subculture. Most people under 50 enjoy a good round of "Donkey Kong" every once in a while, but very few know the nuances of the game. If you've never heard of a "kill screen," you will after watching "The King of Kong." Great post, Chris! I've never heard of Two for the Money. Sounds like my kind of movie, with my kind of actors. Did I tell you that I put down a bet for the New England Patriots to win the Super Bowl, when I was in Las Vegas last September? Yes, I did... and I came so close to winning. I'm surprised at how quickly "Two For The Money" has fallen into obscurity, especially since Matthew Matthew McConaughey was the "it" guy at the time and Al Pacino has always been a major star. It's definitely worth seeking out.